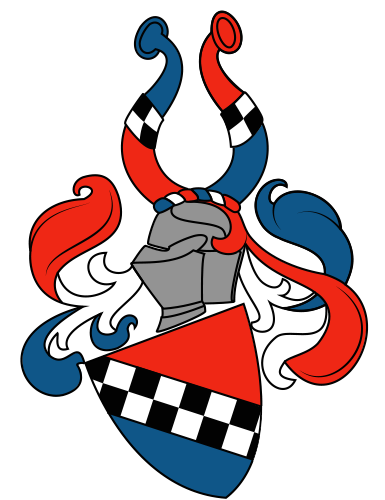 Ivar was born in Bærum, Norway and was inspired by the medieval times in his early childhood through stories and movies. He started competing in olympic fencing at the age of 9. 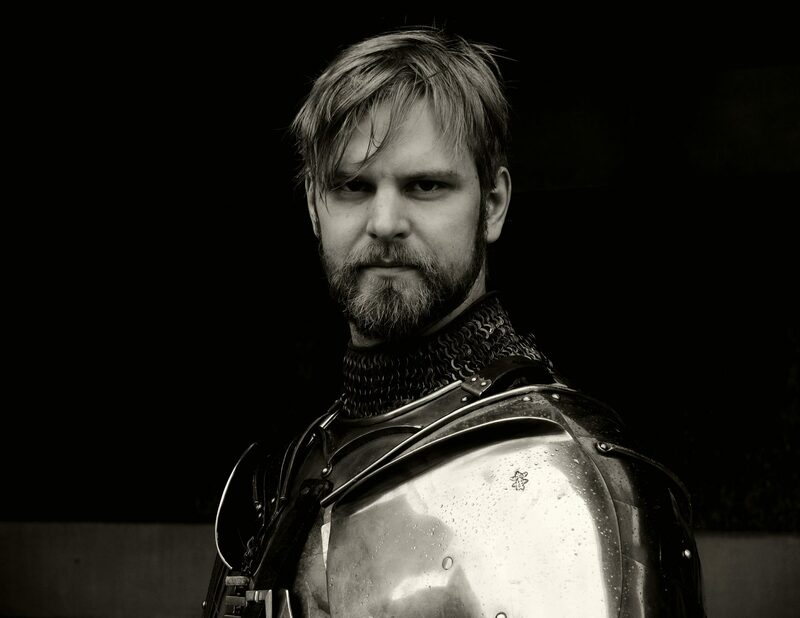 In 2006 he began training with medieval swords and armour and after a year of fighting on foot Ivar started riding with the ambition of becoming a mounted knight. He broke his first lance in 2008 and has later taken part in tournaments in seven different countries around the world. 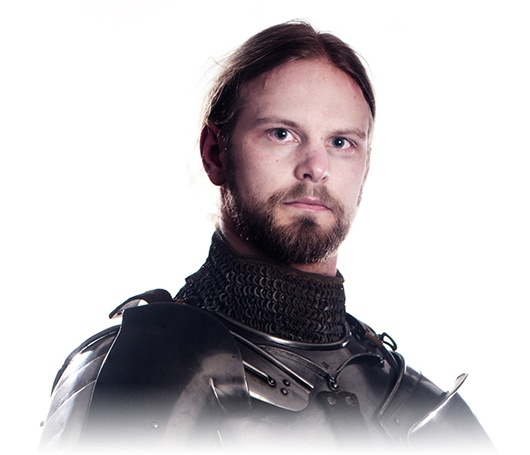 In 2016 he won the gold with Team Norway in the prestigious Arundel International Jousting Tournament in England. Ivar has competed with both balsa tip lances and historical solids. Ivar’s current armour is based on the Milanese style from the early 15th century. It was constructed in mild steel by the Crimean armourer Roman Tereschenko from 2011 to 2012. 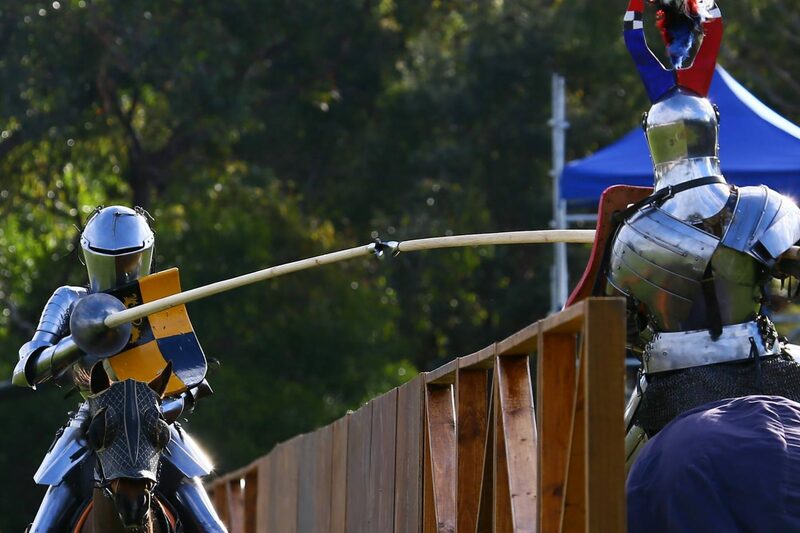 It has since been upgraded with tempered steel pouldrons, tacsets and a great bacinet for solid lance jousting. Fully assembled the suit consists of 213 pieces of metal, not counting the individual chainmail rings, and weighs about 45 Kg. / 100 lbs.